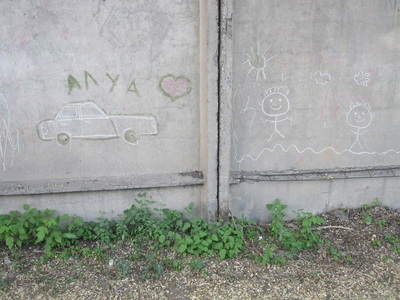 When I was growing up, my best friend lived two blocks away from me, but I wasn't allowed to even walk to his house. 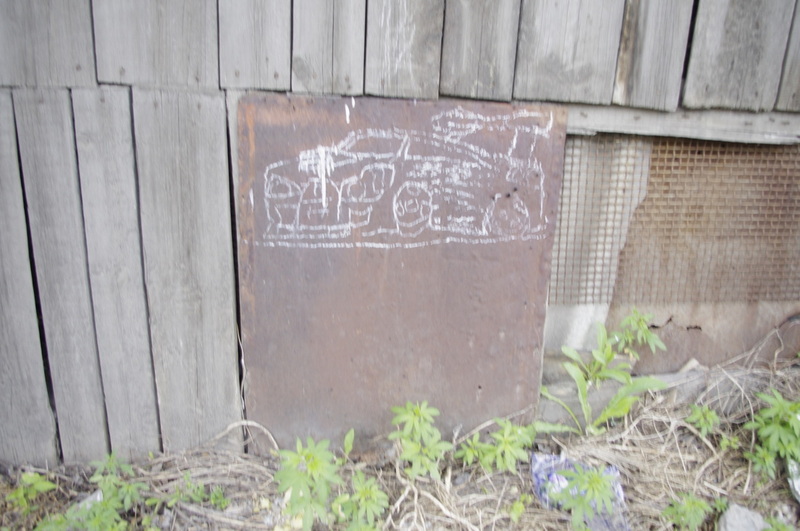 My world of play and exploration was limited to the lot I lived on. 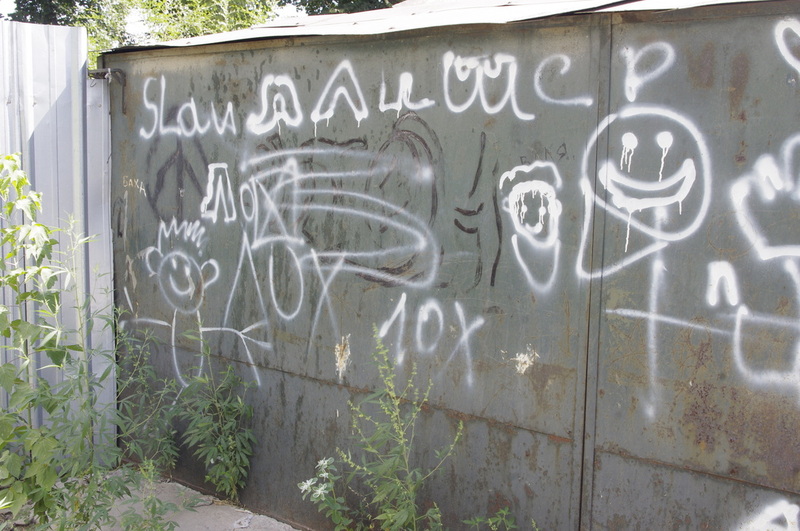 When I see kids here buying ice cream in the store, riding bikes down their blocks, playing games till dark, I envy their freedom. 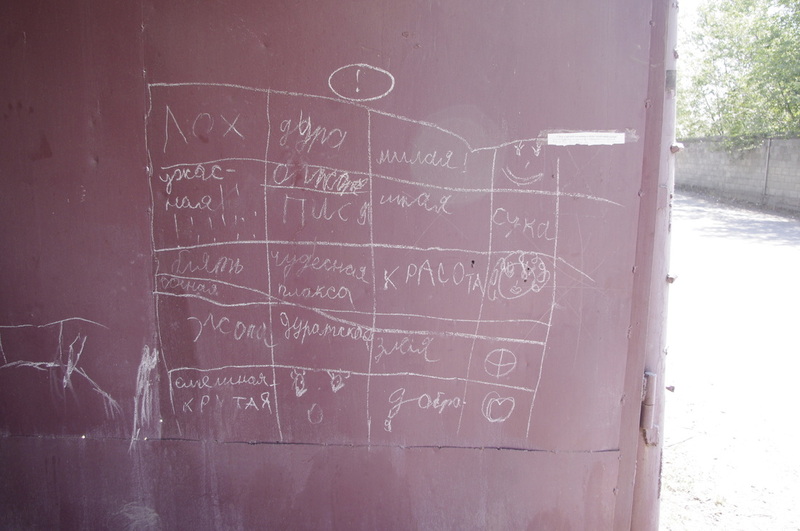 It seems so logical. 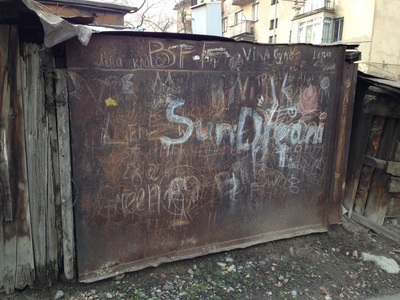 I've seen kids here conquering piles of sand, drawing territories with pebbles, building dollhouses in their alleys. 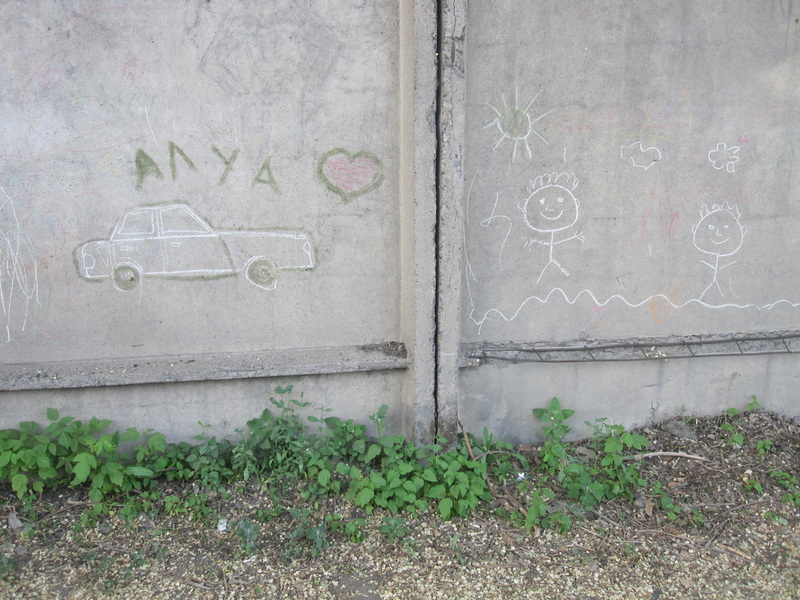 There's nothing to fear, really, no specters of shady men in unmarked vans or maniac drivers. 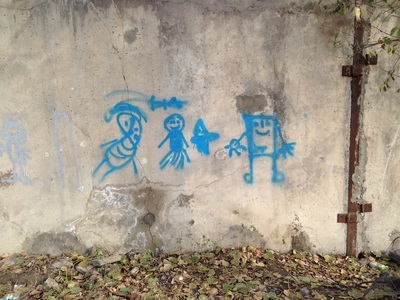 Parents can let their kids wander, and the kids make their own worlds. 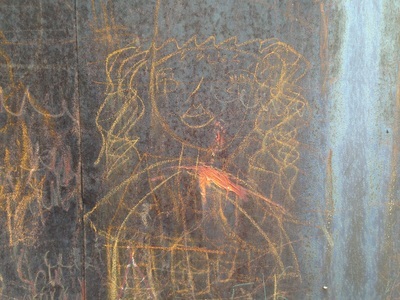 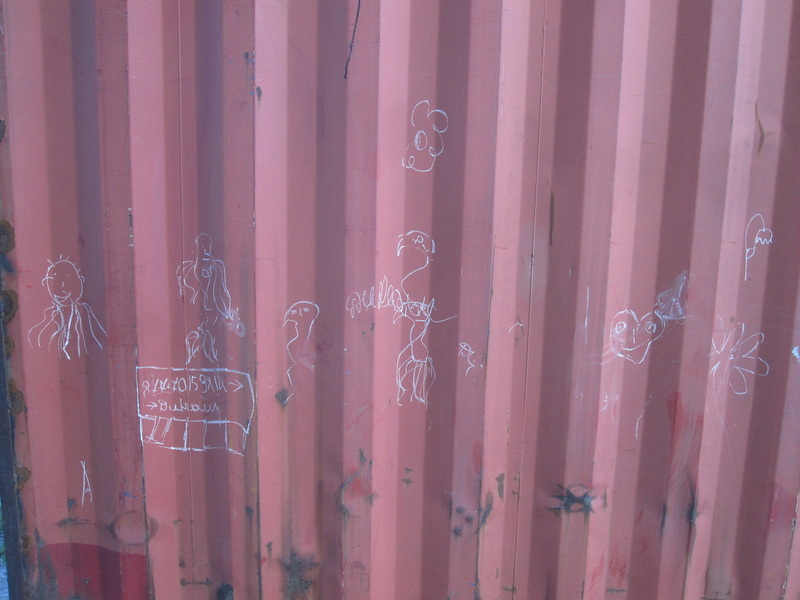 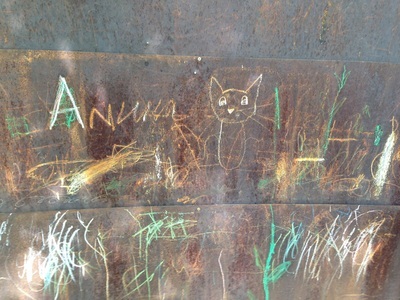 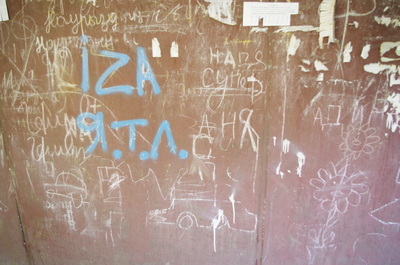 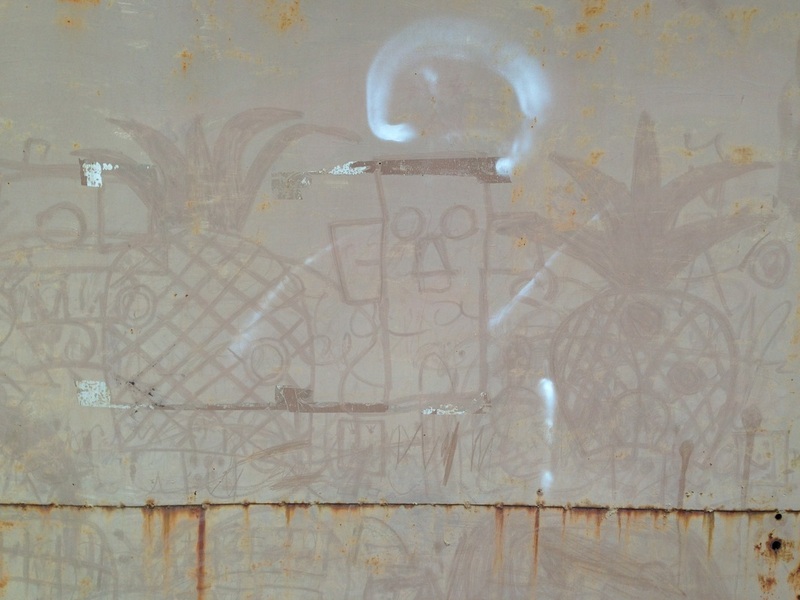 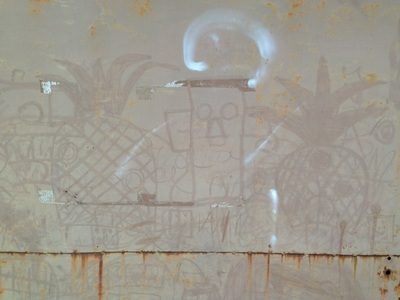 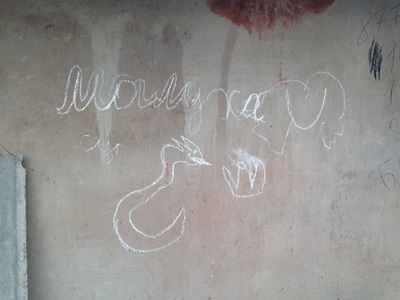 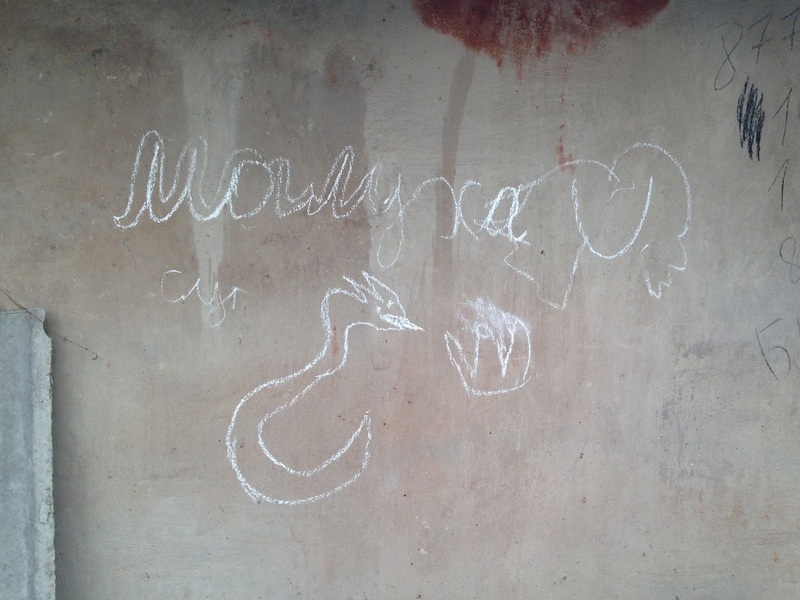 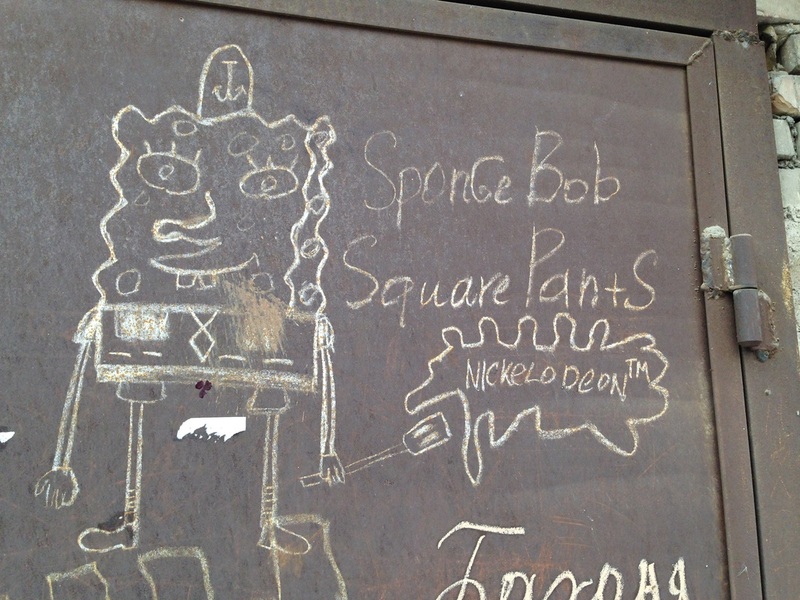 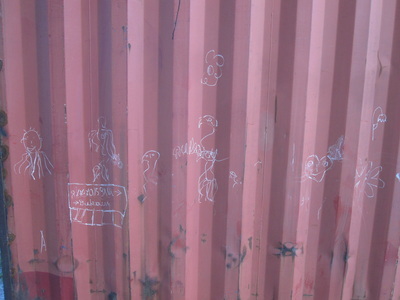 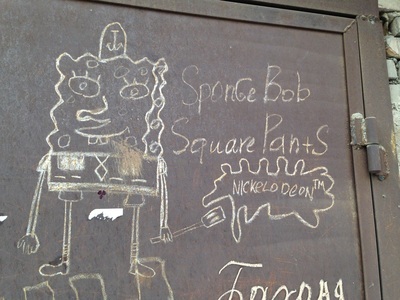 With this trust, children grow bold and mature, and they mark their spaces just as an adolescent might with spray paint. The medium varies. 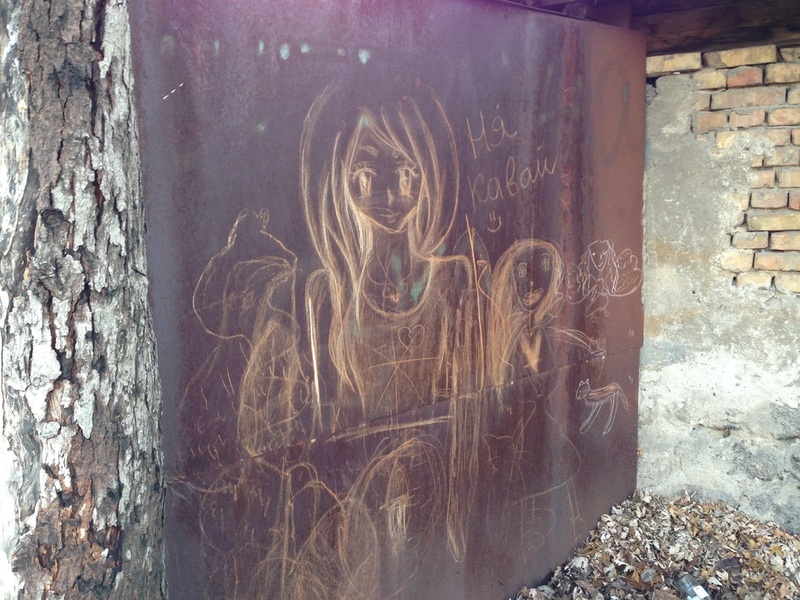 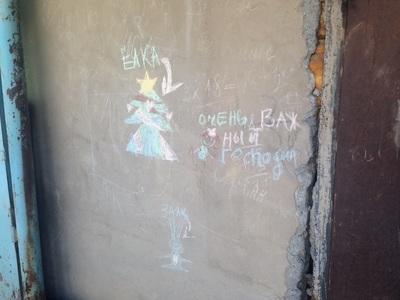 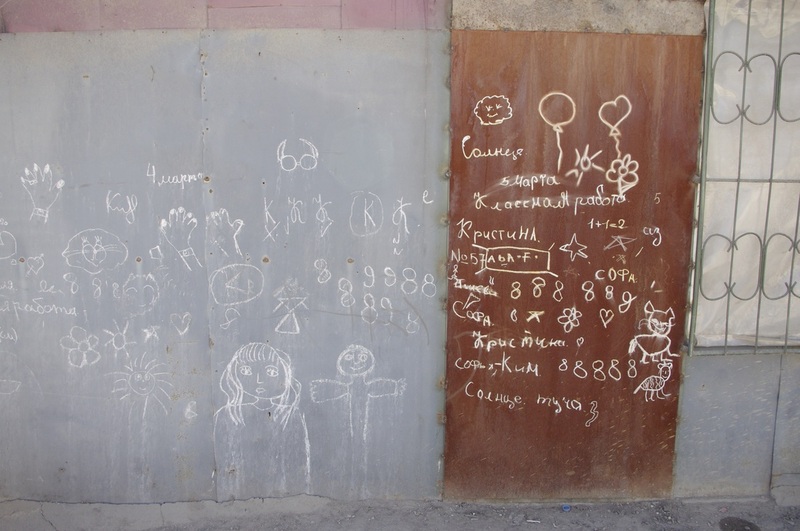 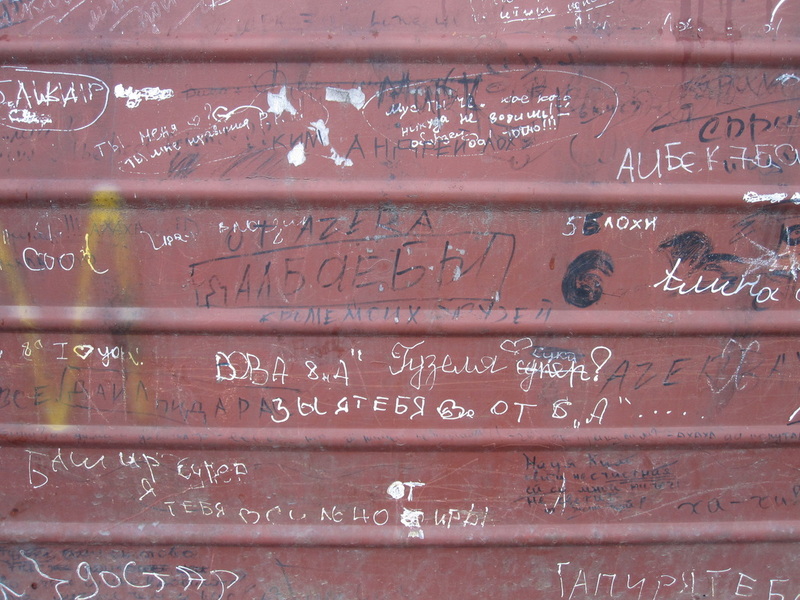 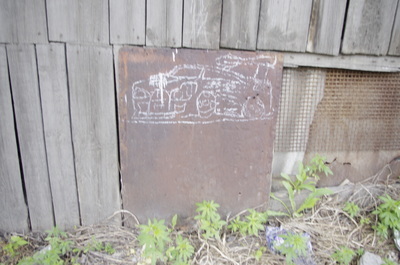 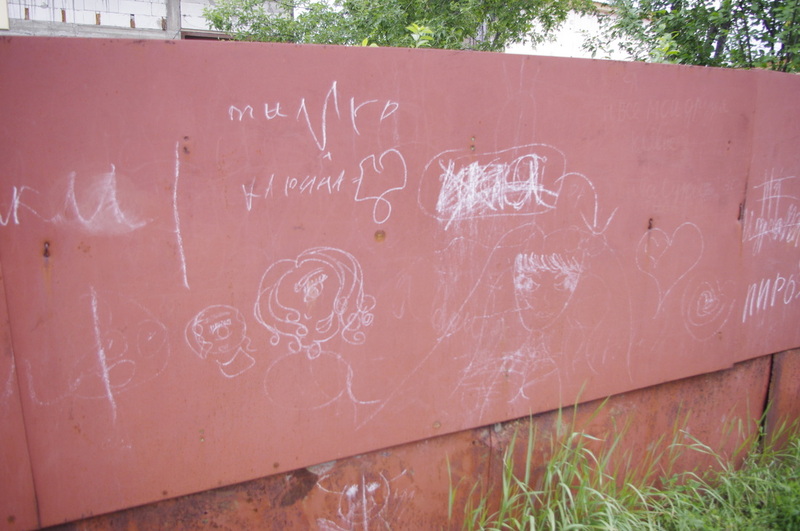 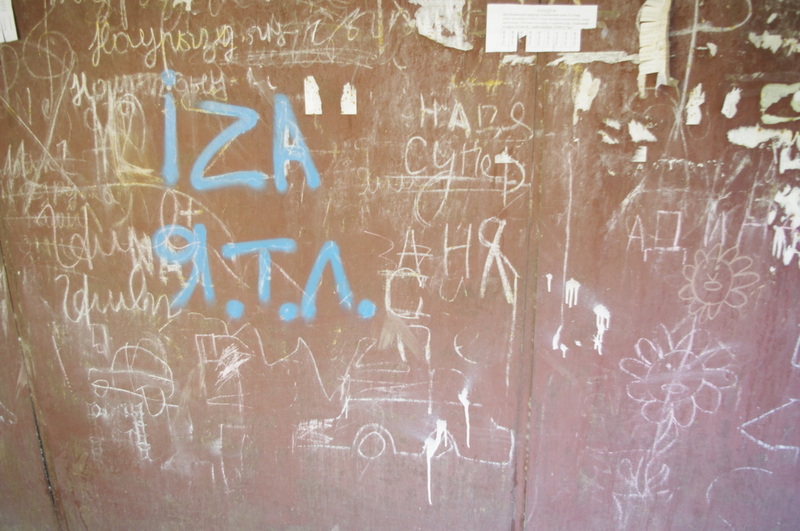 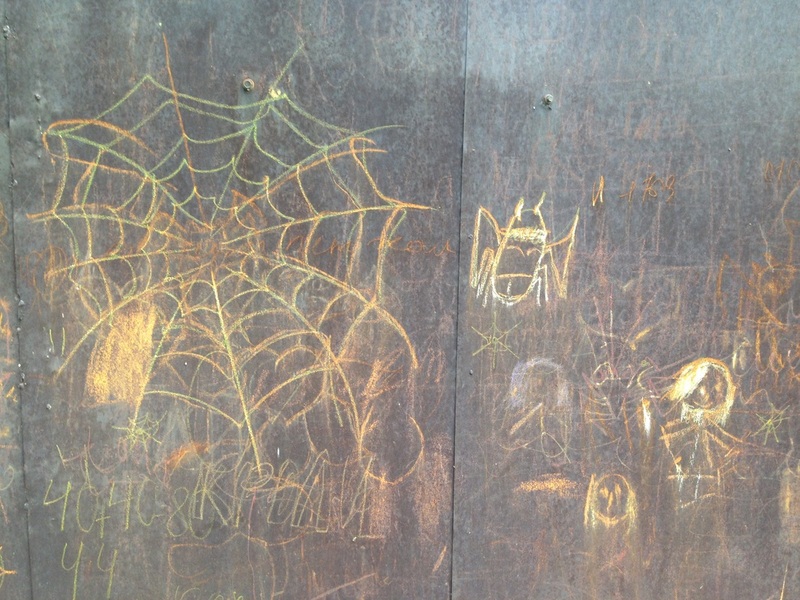 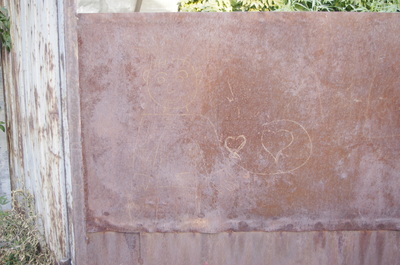 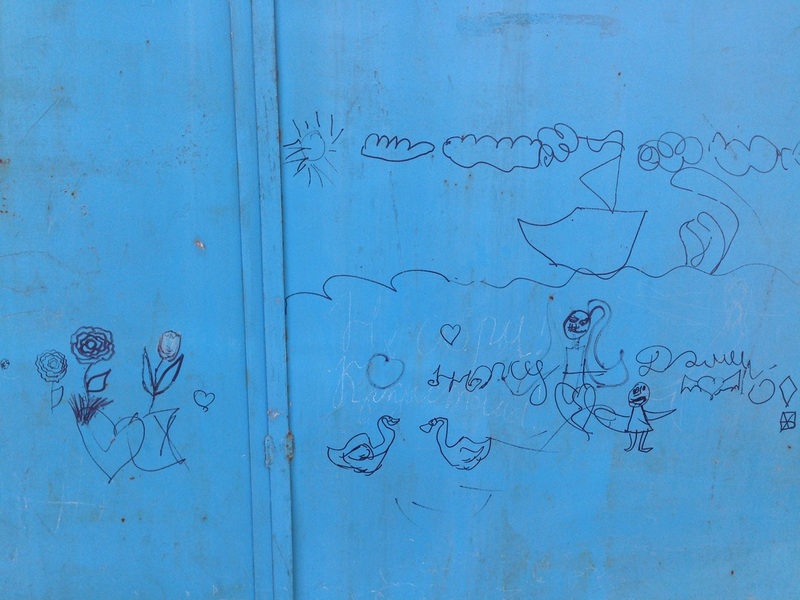 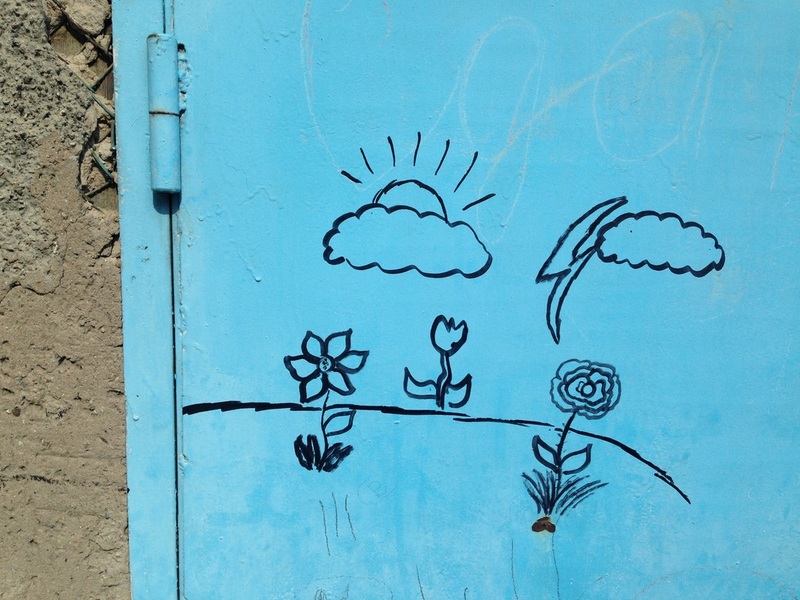 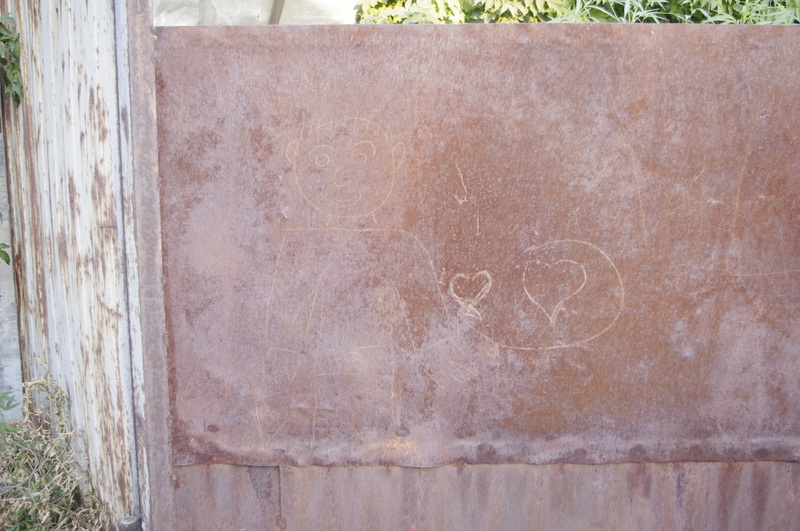 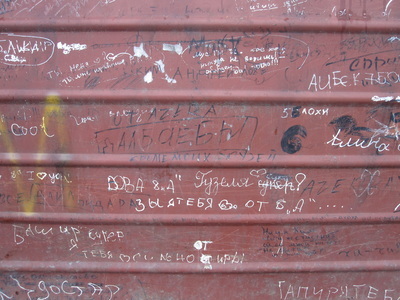 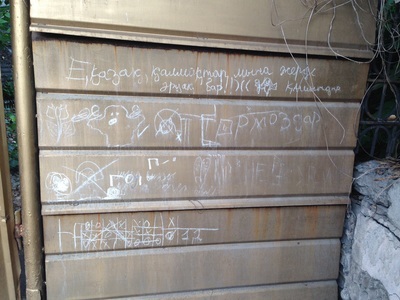 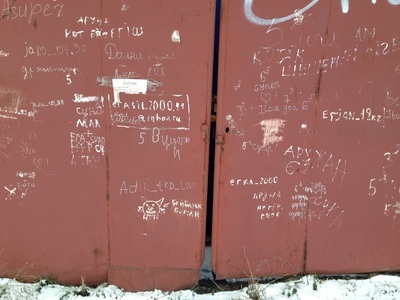 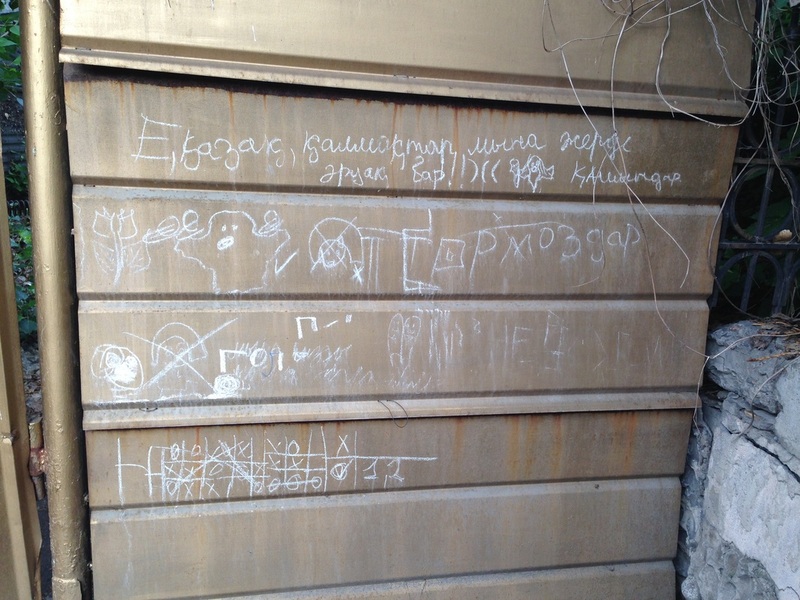 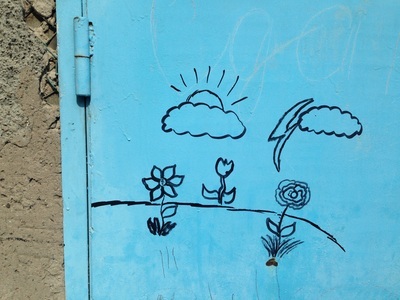 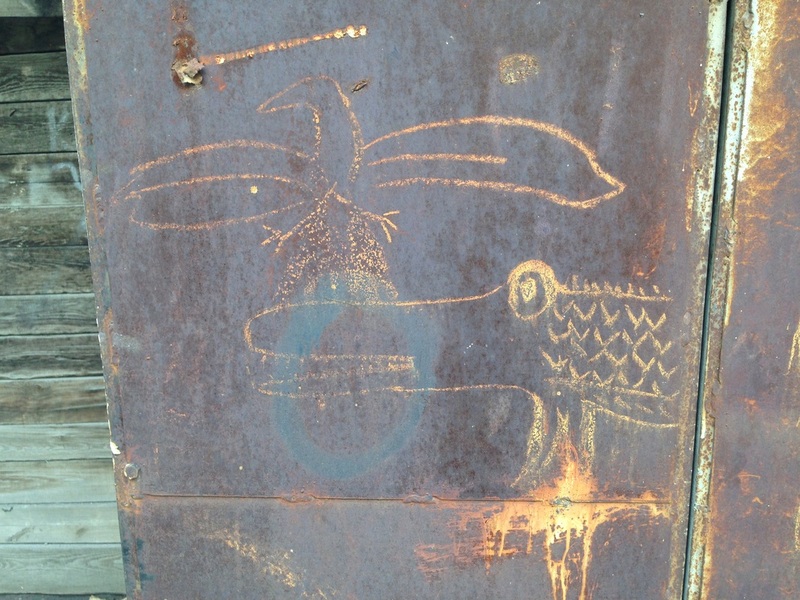 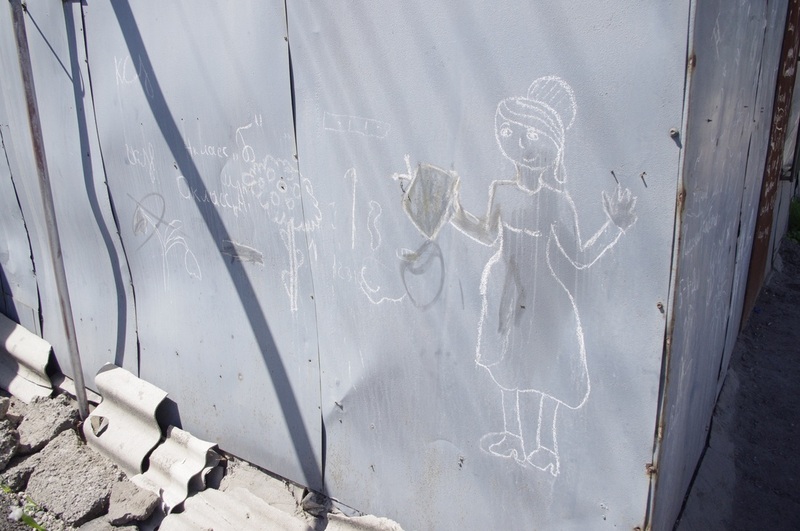 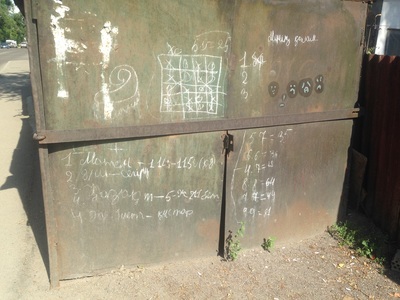 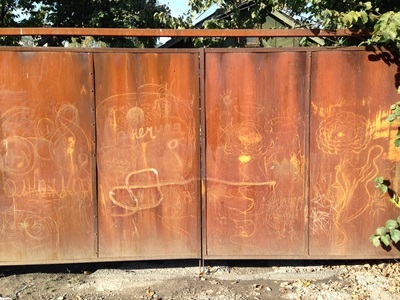 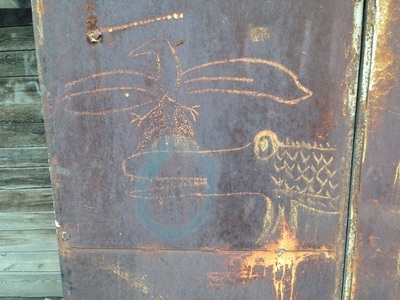 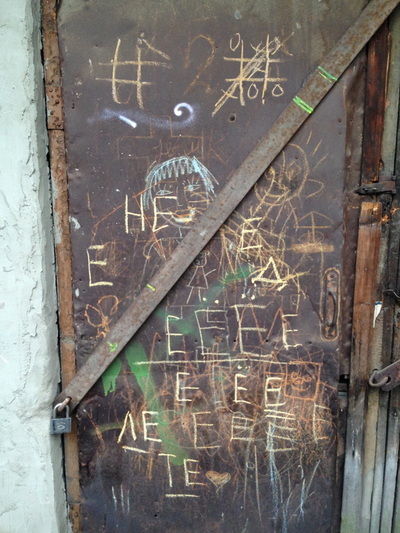 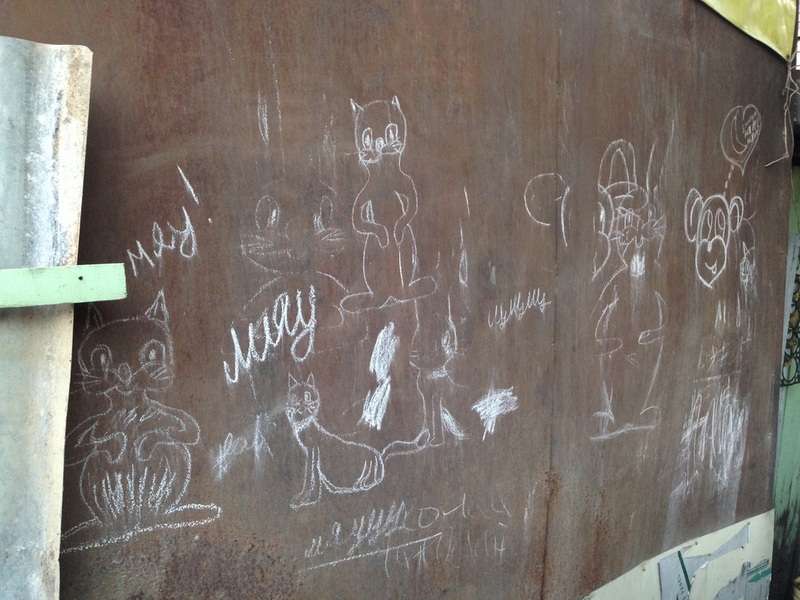 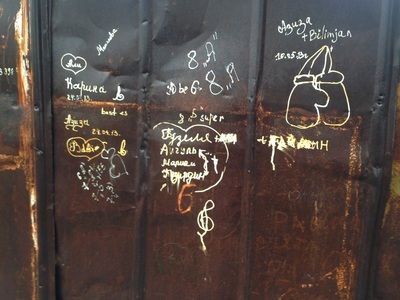 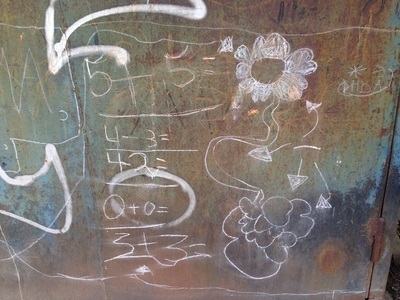 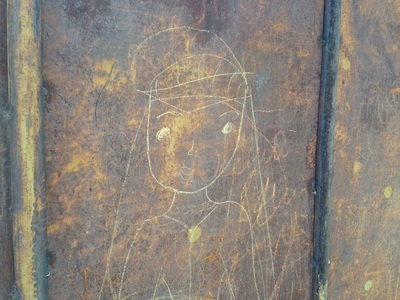 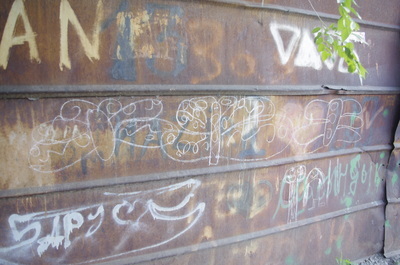 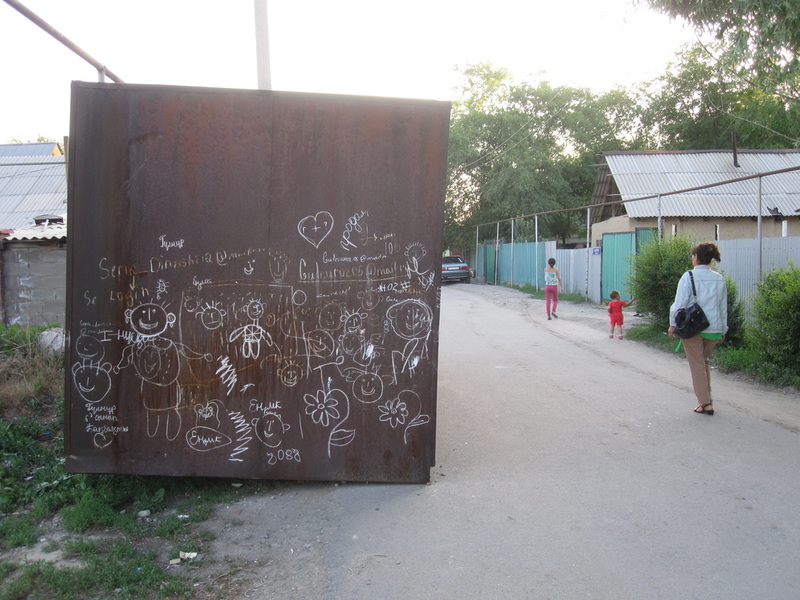 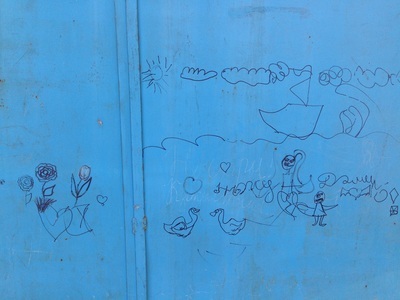 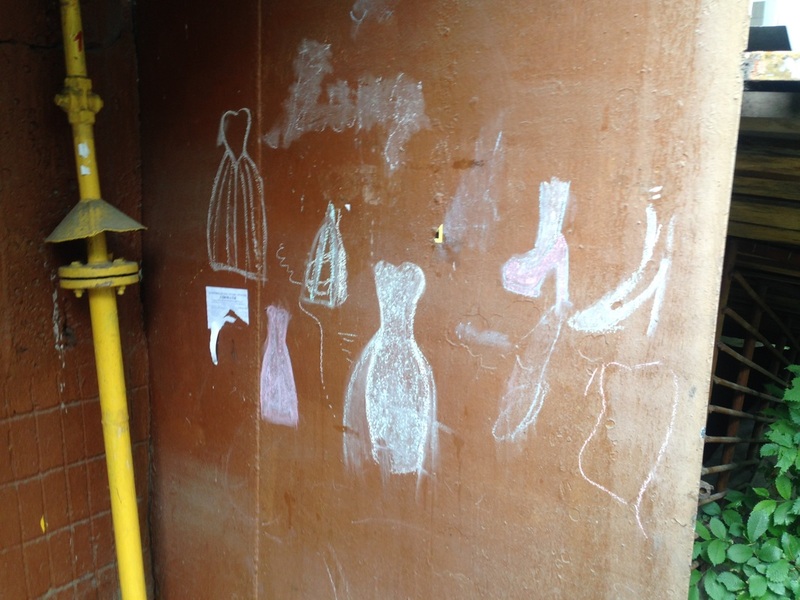 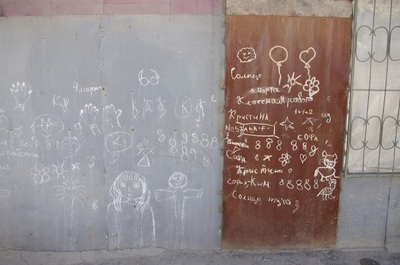 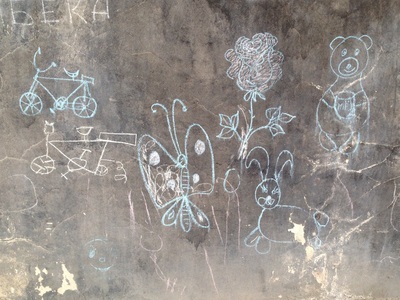 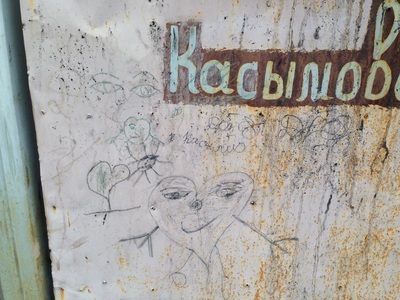 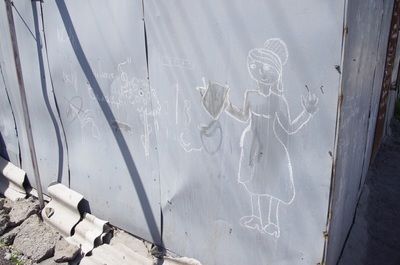 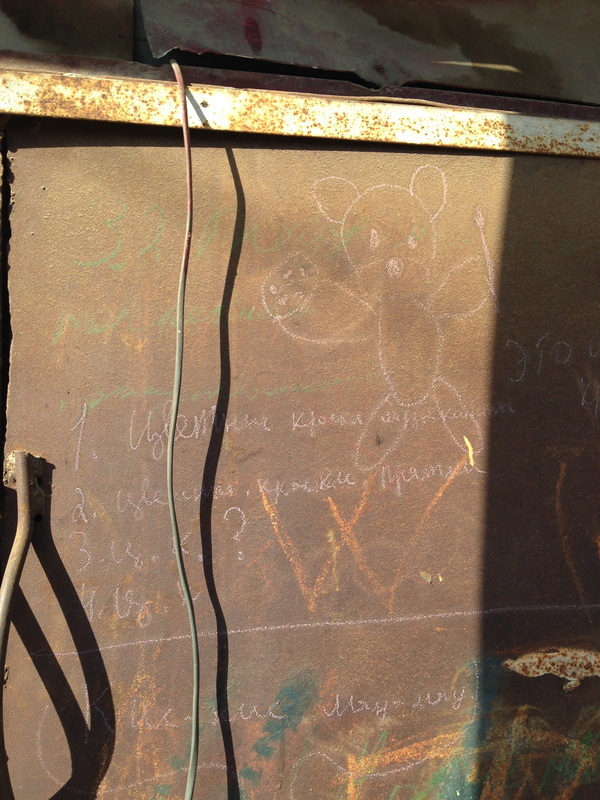 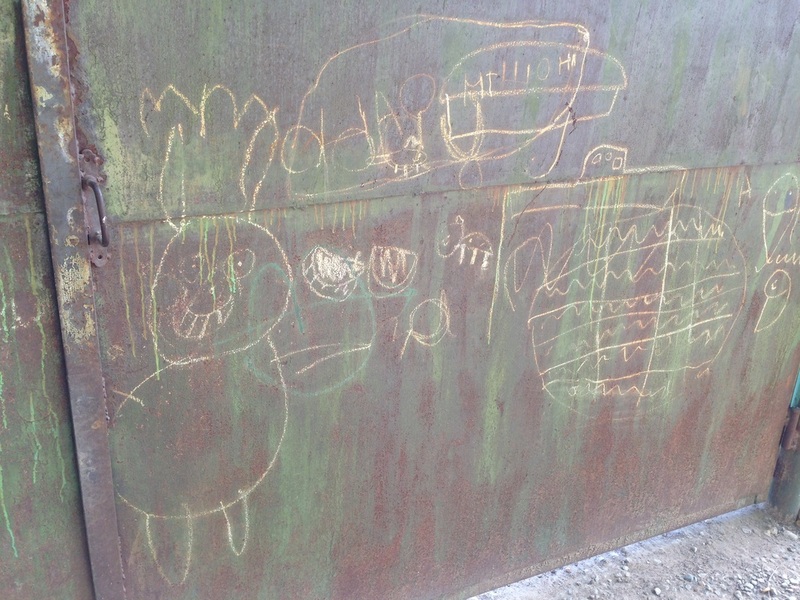 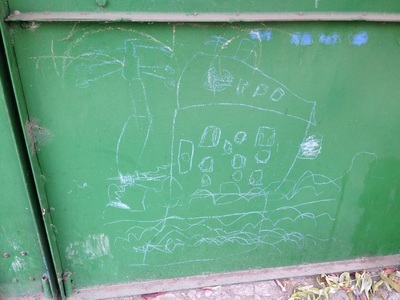 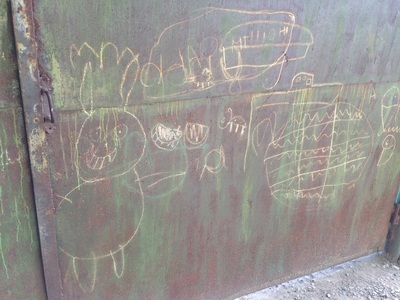 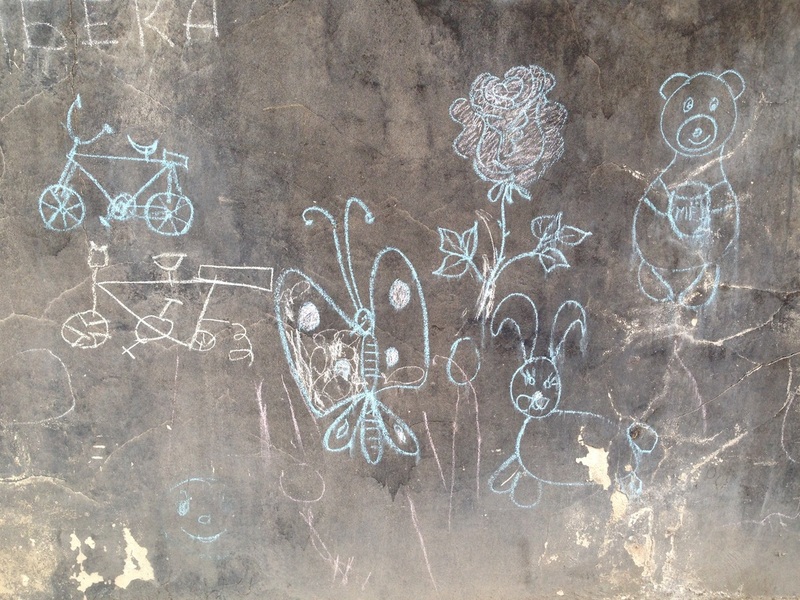 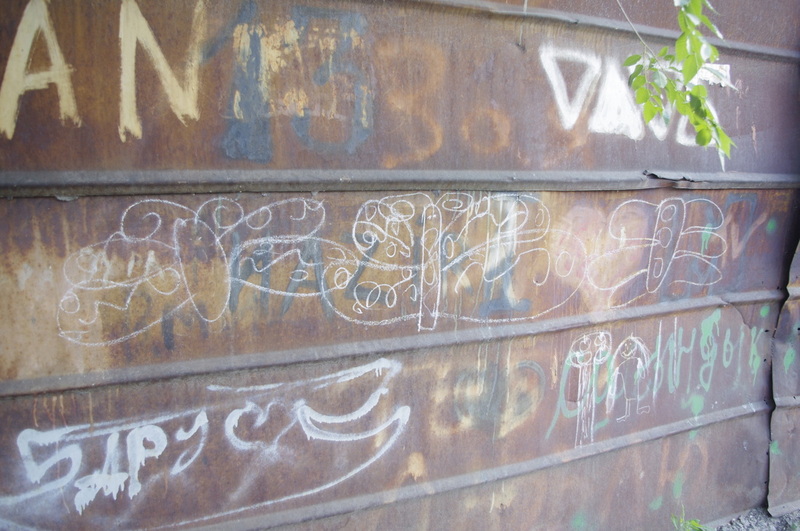 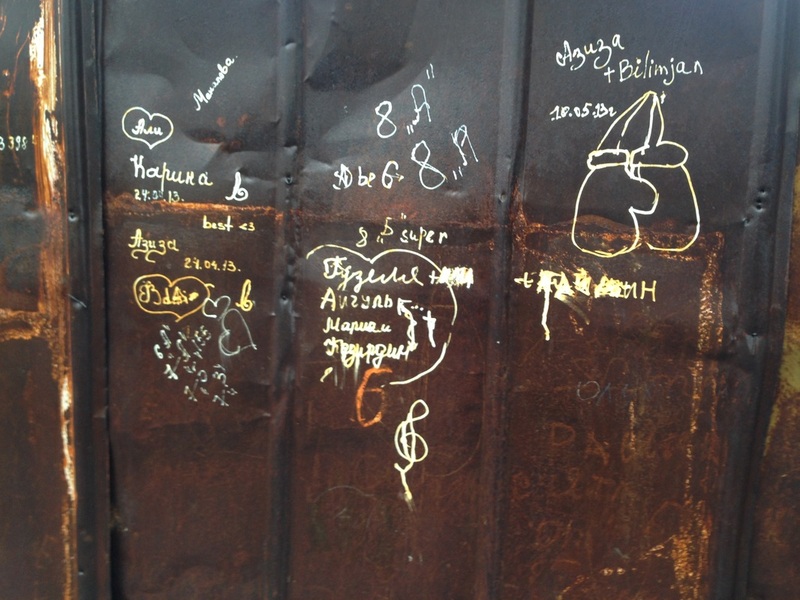 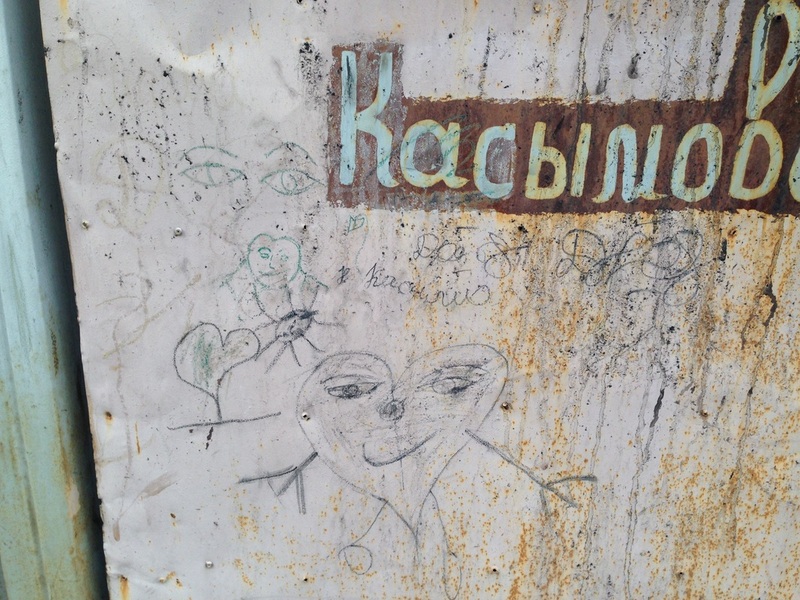 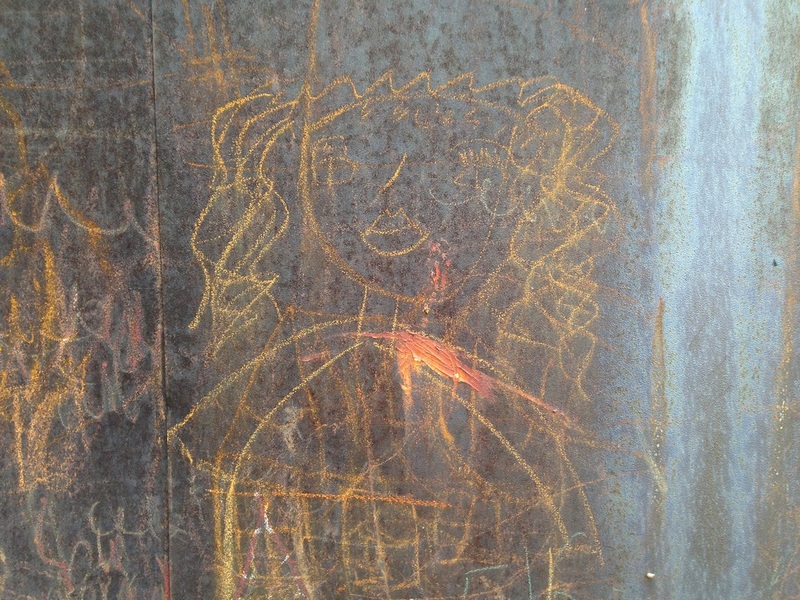 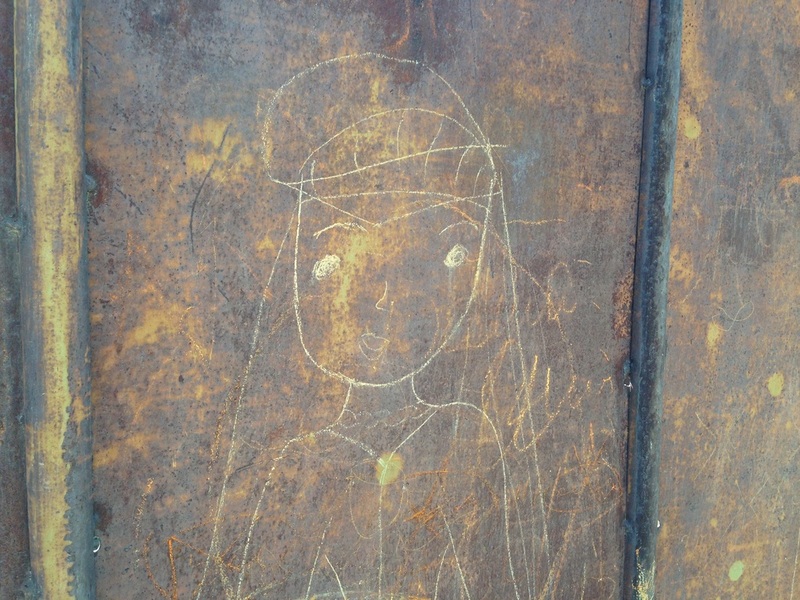 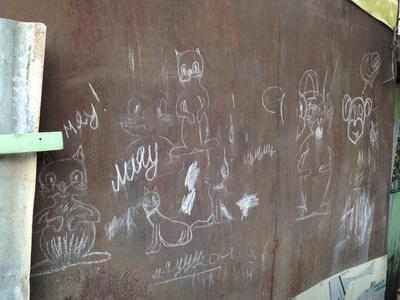 Our American kids on house arrest might crayon up the walls, but kids here have even more surfaces to spread their scribbles: tin fences, cement walls, the gate of the abandoned home down the street. The instruments are from school, of course, these being schoolkids. 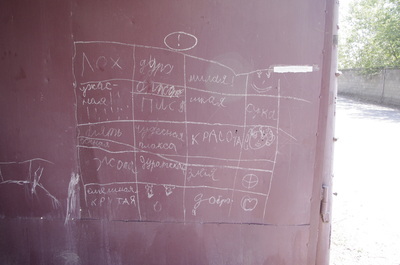 Chalk and whiteout are most common. 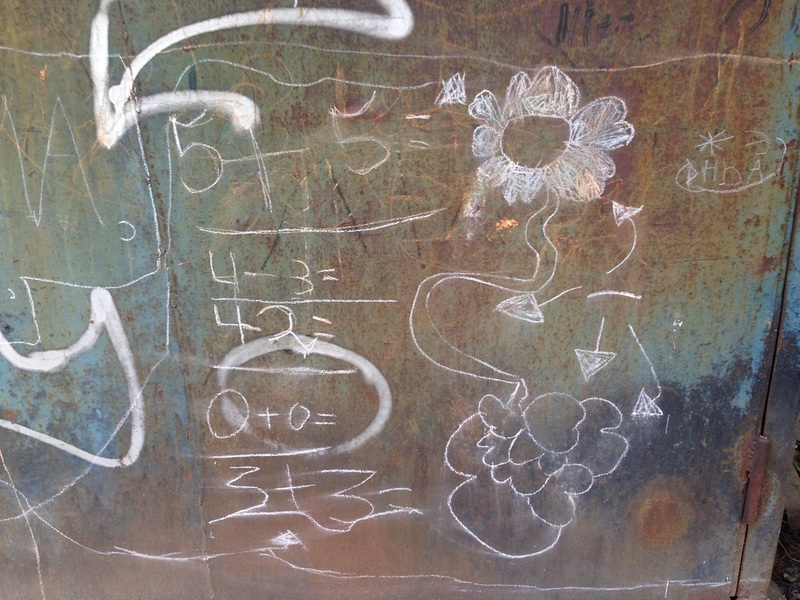 And the messages range from the nasty, "So-and-so is a loser" to the innocent: multiplication exercises and race cars and balloon-headed stick figures. 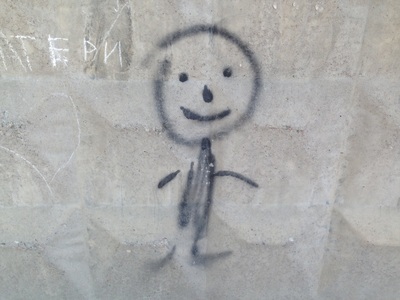 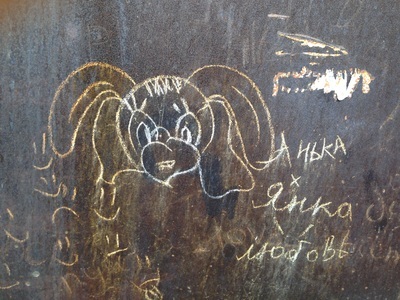 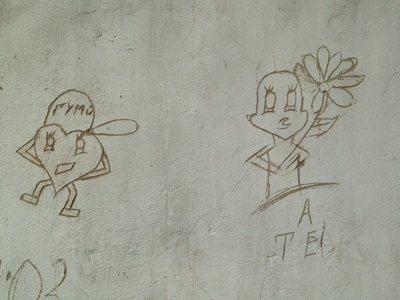 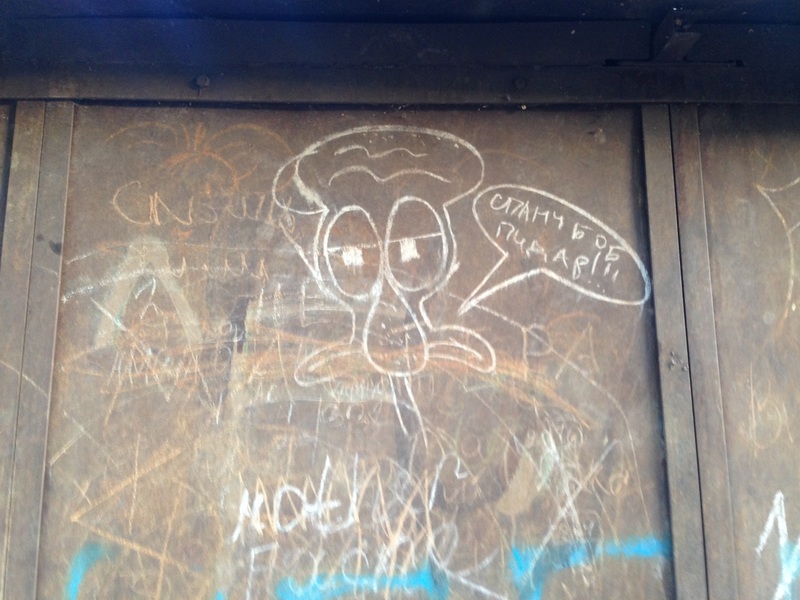 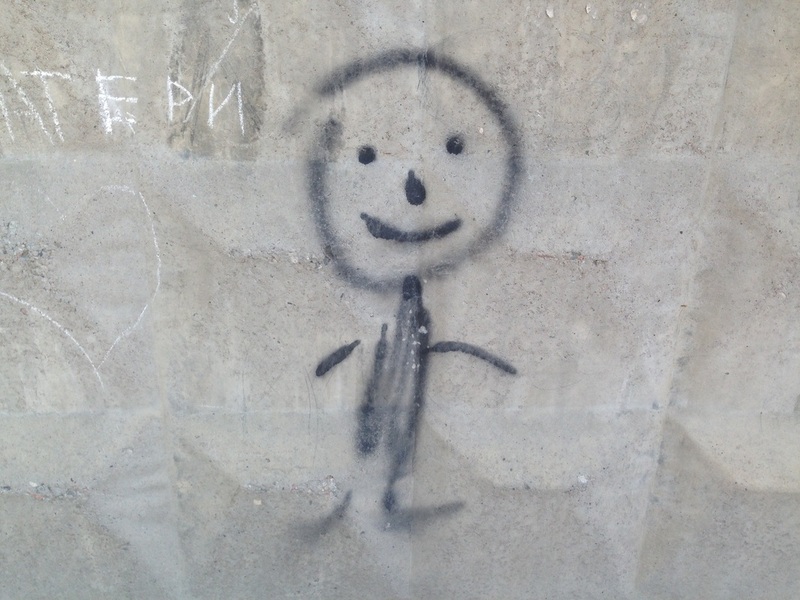 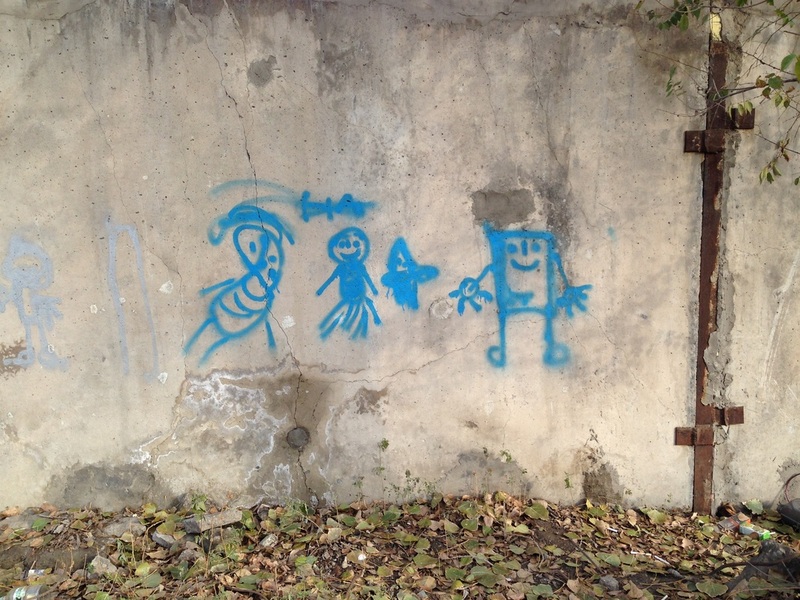 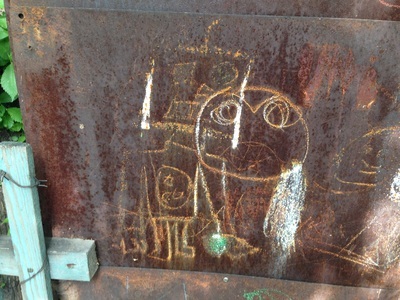 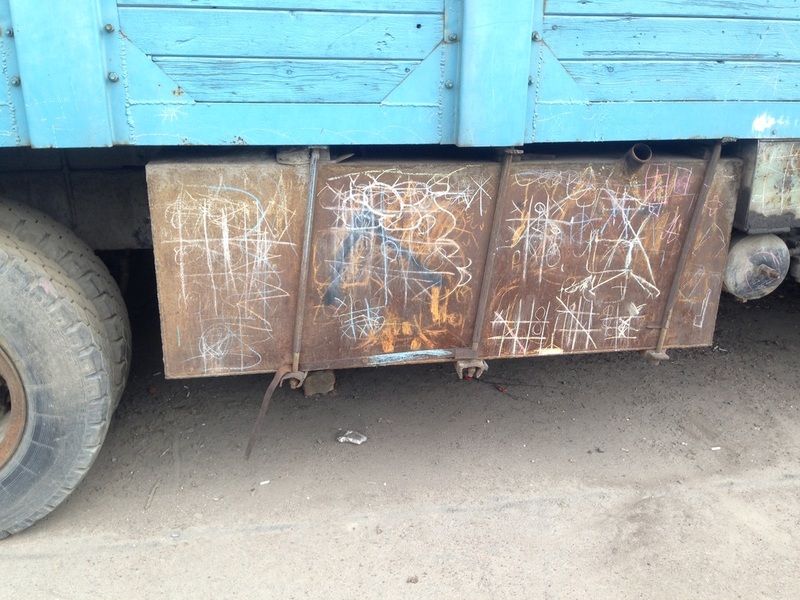 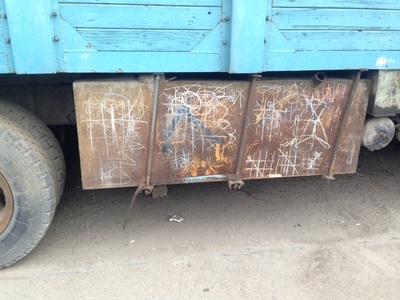 Children's graffiti make the sharp-angled tags that come later seem more understandable. 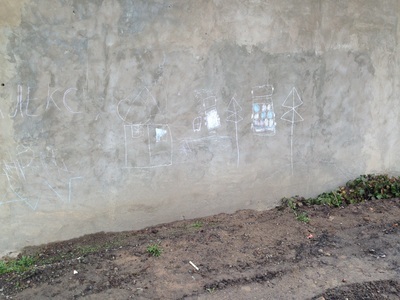 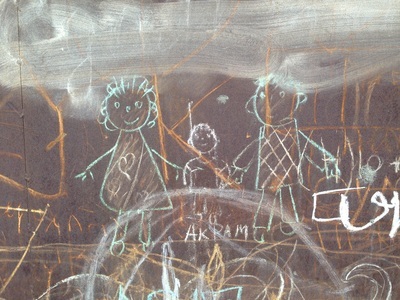 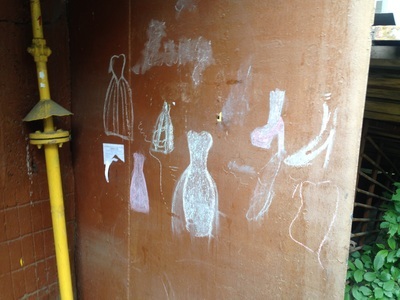 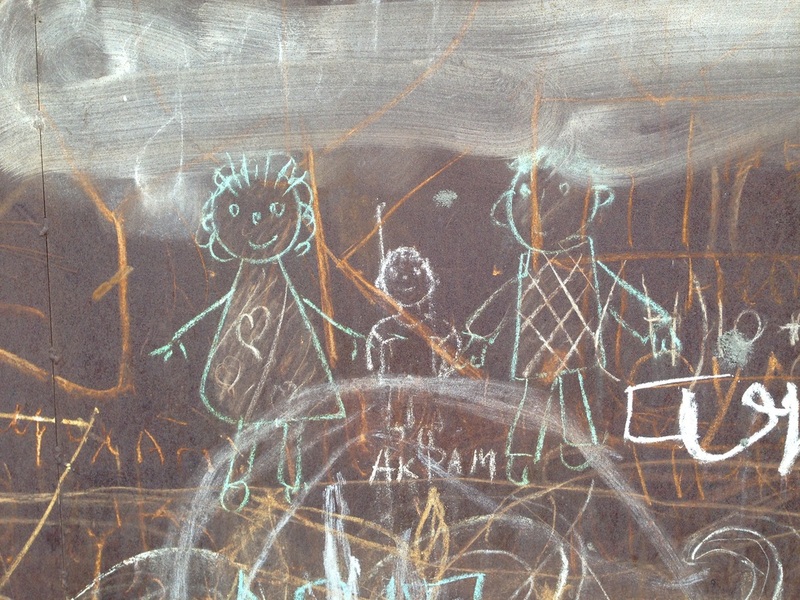 Even from a young age, people feel empowered to take the space around them and mark it with their consciousness. 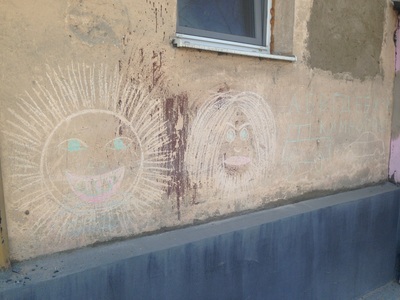 Whether with chalk or spray cans, it's all the same.